KitchenAid has launched major appliances for the first time in Australia with a dedicated Experience Centre at the front of the recently-renovated Camberwell Electrics store in Melbourne. The Whirlpool-owned brand that turns 100 next year represents the top tier of the Whirlpool brand strategy in Australia that also includes Ariston, Indesit and the Whirlpool brands. 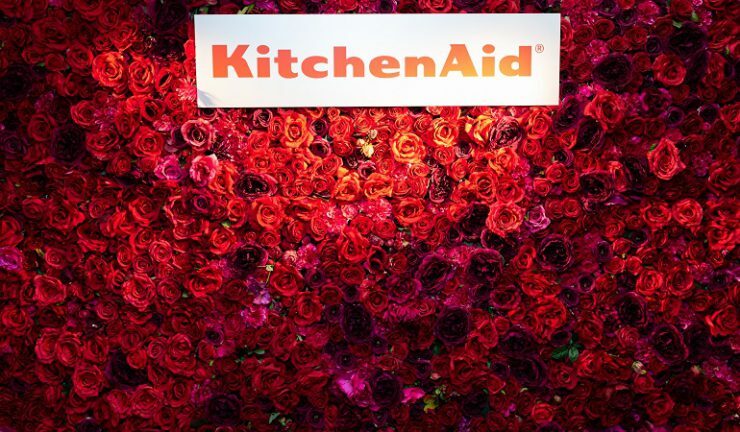 Despite having only one location in Australia where it can sell its products for the remainder of 2018, KitchenAid will position itself as the only brand in the Australian market that can deliver all products for the kitchen from utensils and non-electrical cookware to small appliances and major appliances including a full range of built-in cooking, cooktops, rangehoods, refrigeration and dishwashers. Hong Kong-based Whirlpool Asia Pacific President, Sam Wu, attended the launch this week alongside other senior executives from his team including the region’s HR director and chief financial officer. “We are thrilled to provide Australian cooks a whole new world of culinary possibilities,” Wu said. The Experience Centre at Camberwell Electrics is located in a premium position at the front window of the 2000 square-metre retail store. It features a fully-functioning kitchen and is expected to represent the first of other fitouts with premium kitchen retailers nationally. Whirlpool general manager – marketing, Liam Bryers, told guests assembled for the launch this week that the arrival of KitchenAid into Australia was a “labour of love” for himself and the team at Whirlpool that took three years to come to fruition. “For nearly 100 years, everyone has loved the KitchenAid small appliances and for the first time in Australia, we have the major appliances to match what people love about the small appliances. We have worked relentlessly with Michelin star chefs to create major appliances that would cook like a professional product but would also look beautiful in your kitchen at home,” Bryers said. “We are artisan from the very beginning. All of these appliances are made with love and have their own production line with people hand-making these products delivering the attention to detail and the signature red medallion linking the SDA and the MDA together. “The great thing about KitchenAid is that not only do we have a strong range of kitchen appliances, not only do we have major appliances, we also sell a range of non-electrical cookware and utensils to deliver the complete KitchenAid experience in your kitchen,” Bryers said. During the launch the story behind the name KitchenAid was also revealed. So the story goes – the wife of one of the executives in 1919 who was trying out the company’s signature mixer and said it is the best “Kitchen Aid” she had ever used.